In this crazy journey through life, we are in a constant frenzy of education in how the ways of the world work. 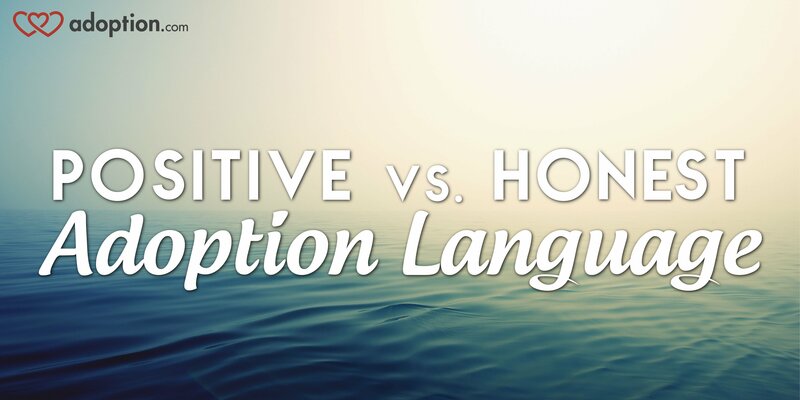 Adoption language receives no escape in this evolution. Adoption has been a part of history from the earliest days. Adoption of family members through death or other reasons was common. In tribes, parenting as a village was normal. As adoption became a more formal practice, guardianship took on new roles. From the recent history of closed adoptions being the norm, we have now replaced it with open adoptions. 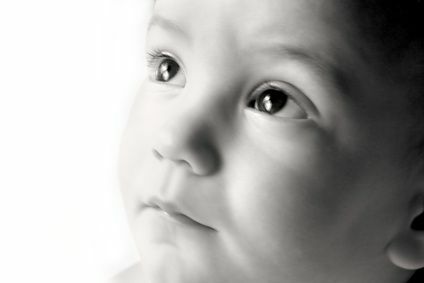 Open adoptions favor the child and have had many studies showing the benefits in helping birth parents and people who were adopted gain insight, healing, and acceptance. One thing that also evolves in adoption is the language used. To read the rest of the article, visit adoption.com. Learning about adoption was overwhelming for me. You are not alone in feeling that way! 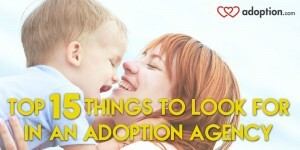 Looking for an adoption agency is not any exception. In our journey we contacted at least half a dozen agencies and read countless articles online trying to figure out where to start and what to expect. We were not just in distress about how long we had been trying for a baby, but then we learned that we could have anywhere from days to several years on the “waiting list” for a baby, too. Factor in the cost associated with agency adoption, and we were bewildered. We had no idea how to select the best adoption agency that would meet our needs. Looking at the fact that there are tons of adoption agencies that can put on a great advertising front, but operate very unethically, we were scared we would be out time and money that we wouldn’t be able to ever get back and could potentially stop us from adopting if we suffered any loss. While there are many other things, including the gut feelings you get when talking to them, these are a great starting point for fielding your options. For the rest of this article, please click here to read it at Adoption.com. 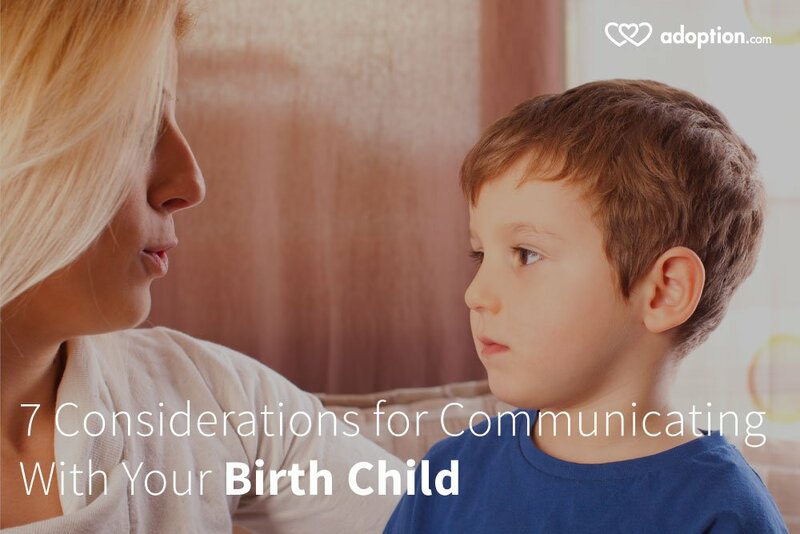 Here are some ways to look at your open adoption and get through the struggles that may be plaguing your relationship with the birth family before just writing off the relationship with them. To read the rest of the article, please click here to visit Adoption.com. 1. You are so wonderful. 2. That is so wonderful. Or some variation of the two. Maybe something like “Oh, God bless you. You are such an angel to adopt. He is a lucky boy!” What? I mean What? I wrote a short blog about this last year and I have been thinking about expanding on it for some time now, as I see other adoptive parents encountering the same thing. Then I learned about the “Orphan Crisis” and that some church congregations or sects of people are actually patting themselves on the back for adopting. These people are fertile and have been blessed with biological children and adopt because they feel they need to save an orphan. So where are they finding these orphans? Sure some people, like Angelina Jolie spend time in other countries on movies or doing missionary work and learn about the problems that plague the area and fall in love with a sweet child they decide they’d like to adopt. This is not the case for most though. People are not plucking malnourished, homeless kids off the streets and bringing them home. They are adopting infants and going through agencies that people that just want children also go through. Don’t get me wrong, I am not saying that people with biological children can’t adopt. I have a biological son! So that surely isn’t what I am saying. I am also not saying that saying “God called me to adopt” is not a valid reason for expanding your family through adoption. What I am saying is, don’t talk about “saving your child” and bragging about how terrible his life was and how you are his savior. All “do you want a cookie?” or “pat yourself on the back” mentality stuff. We don’t adopt children to make ourselves feel like we did a good deed. We adopt them to make them part of our family. If you want to do a good deed, send money and food or volunteer. I am sure the child feels so great being made to feel like they owe their parents instead of just being loved by their parents. (sarcasm) Some kids really do come from bad situations and wanting to help them is not a bad thing. But, be honest with yourself and don’t make them feel like every step may lead them back to the original status. The Orphan Crisis has nothing to do with domestic infant adoptions. Some articles I read stated how domestic infant adoptions are on the decline and they must figure out a way to change that. Seriously? Yes, I adopted a domestic infant, but do I wish to separate more children from their first mothers? Do I wish to use coercion tactics to get more women to make an adoption plan? No and NO! Let me make this clear, To the first statement that people often say to me: I am not wonderful. I do not work with orphans, I am not a social worker or a missionary, I am not scooping up children without homes. I adopted because I wanted a child. My son wasn’t saved by me. He would have been just fine had his birth mother chosen to parent. He would have been adopted by someone else if I wasn’t there to adopt him. Secondly, it is not wonderful to adopt. It is stressful, expensive, heart wrenching, confusing and time consuming. Then add in how my son will cope with his identity and emotions and he navigates life. Or how about the the loss he and his birth parents feel every day? What part of any of it other than ME getting to be this boys mommy is wonderful? What have you experienced and how do you handle it? If I can give one piece of advice, it is that in all the training you will receive, you may not be taught that starting off the relationship on the right foot can never begin too early. When I say that, it means learning positive adoption language is a big deal. 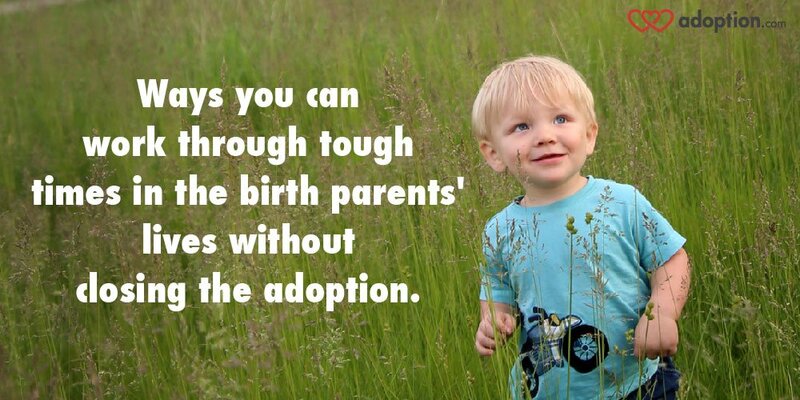 You may learn a few things like to use “created an adoption plan” over the dated version of “giving up for adoption”. There are many other situations though that choosing your words carefully can go a long way. But it really isn’t about just being politically correct, it’s about respect. It’s about understanding people’s feelings. It’s about willingness to learn. Today with open adoption being the more normal route domestic adoptions are taking, starting that relationship off with respect is so important. As adoptive parents we are gaining something that we could not achieve on our own; a child. Imagine the heart ache and loss the expecting mother goes through every day leading up to placing her child and will likely feel every day after the placement. Respecting her as a human and the parent of that child shows you love not just her baby, but her as well. And don’t forget about the father, he may or may not be involved, but until you know otherwise, assume he is. Remember, positive adoption language is not just about being politically correct, but respecting her. Moving forward in an open adoption requires respect. Respecting her for her decision and not just going after her baby and saying “all the right things” will create a lasting relationship that your future child can respect you for. There are many resources out there to ensure you understand positive adoption language. If it is not offered in your adoption training, seek it out for yourself, you’ll be happy you did. Part of respecting her, is also respecting her story. Respecting that her story is also your future child’s story. People can be nosey when it comes to adoption. Some are genuinely curious about adoption, some just want to the juicy details. So decide how much you want to share with people and stick to it. People will ask all sorts of questions that you never dreamed of. IE. “Why is she giving him up?” “Is she on drugs?” “Does she know who the father is?” “Why doesn’t she want to keep him?” Etc. Keep in mind that what you share with people now, may get back to your child or give the inquisitive people less respect for the birth mother in the future. While you may have the best intentions of sharing the story with people, they may repeat it back at inconvenient times. If your open adoption ends up being like mine, we invite our son’s birth parents and other biological family over a few times a year for family gatherings. We want everyone to feel comfortable. They are all part of our extended family now. While a person may be at a low moment in life at the time of placement, often the reason for them creating an adoption plan is to not to just give their child a better life, but to also give them the ability to improve their own life. I think that letting the expecting mother know that you will support her in any decision she makes is very important. It shows a great deal of respect. Yes, of course you want to be a parent and adoption is your goal in having this relationship with her, but her knowing that you will be ok if she decides to parent or picks another family over you, goes a long way in her trust in you as good people. But don’t just say it, MEAN IT! Get yourself in the right frame of mind before entering the relationship. She is not there to make you a parent. You are there to parent her child. Starting off on the right foot with the expecting parents will help you in a lifelong respectful relationship that will be cherished by your child and all members of the adoption triad for years to come. A few days ago I got an email from Luke, Outreach Coordinator at Adoption.Net. I have followed adoption.net on Facebook for a bit, but I was unaware of some of the changes they were making until he messaged me and suggested I browse the site to see the online community they are building. Obviously, I love a good adoption resource, so I was eager to check it out! The website is easy to navigate and has clearly marked sections for adoptees, birth parents and adoptive parents. It has links to waiting parent profiles, blogs, news, community and a directory. I could spend all day long looking through the directory. The resources listed are endless! I went to the heading titled “Pregnant”, because I was curious how they addressed women considering adoption. The first thing you come to after clicking is a list of steps to help a women who thinks she is pregnant, when she may be terrified and not thinking clearly. It tells her to take a test, call a doctor, contact the father, reach out to a counselor and talk to her family. It’s not a glaring “place your baby for adoption” page. It provides all available options a woman has for her pregnancy and IF she chooses adoption, there is a link to waiting families and other resources, but it’s not pushy. The next section of the site I browsed was “Adopting”. It was well laid out with information for several avenues of adopting. It had a lot of valuable information and sections dedicated to more in depth topics. I liked that it and other sections have a Q&A heading as well as a guide to resources which includes articles. I am glad Luke messaged me and hopefully you find the site helpful.